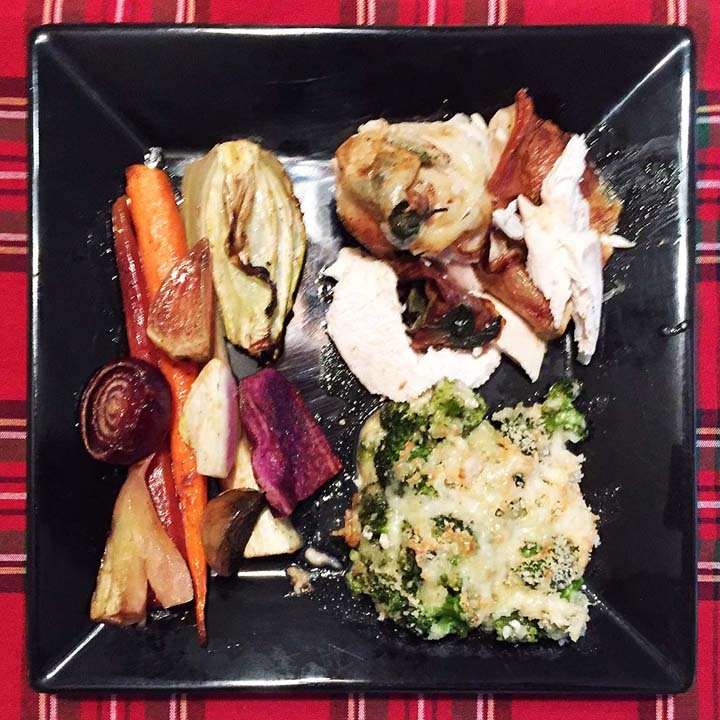 Roasted Chicken with Root Vegetables and Broccoli Gratin | Jouer avec le feu. I have been wanting to revisit the Roasted Chicken with Root Vegetables recipe for a while – especially since I discovered Crooked Stave’s Colorado Wild Sage Mountain Saison at the Farmhouse and Wild Ale Festival last year. The Broccoli Gratin seemed a good side to go with the chicken. The main reason for this meal was to pair with the Colorado Wild Sage Mountain Saison – a barrel aged wild ale brewed with wild sage – from Crooked Stave. This entry was posted in Chicken by Radiodiffusion. Bookmark the permalink.